Lots of animals attack, the most common being a dog. An attack from a dog can be a terrifying experience, inflicting serious physical injuries and emotional trauma — especially if the victim is a child. With more than 83 million dogs in the U.S., pets to 56.7 million households, dog bites occur every 75 seconds. Each day, over 1,000 people need emergency medical care to treat these injuries. For children, a dog bite is the fifth most frequent reason they go to the emergency room. Because of their height, children typically suffer facial and neck injuries from a dog attack. These injuries often require reconstructive or cosmetic surgery and long-term medical treatment. Physical trauma is only part of the impact. Oftentimes, the victim, especially if a child, suffers emotional ramifications and a permanent fear of dogs. Dog bites can result in long-term medical treatment, including multiple surgeries, rehabilitation and therapy, and plastic surgery. Your legal options may depend on the city in which the attack occurred, so you need an aggressive legal team familiar with the law who will negotiate a settlement ensuring all future medical care is covered. What to do if You’re Bitten by a Dog. Pet ownership in the U.S. has more than tripled since the 1970s. According to the Humane Society and APPA, 83.3 million dogs live in family houses. The chance for a dog bite occurring has increased dramatically — with children being the most likely victims. $80,000 settlement for a 10 year old girl who was bitten in the leg by a neighbor’s dog when walking home. Even though the dog had been restrained on a leash, the attorneys at Nash and Franciskato in Kansas City were able to argue the owners were strictly liable, pursuant to Missouri law. The settlement money helped pay for medical expenses, including a scar revision surgery. The money was also utilized to set up a college fund for the little girl. $55,000 settlement for a 16-year old girl who was bitten in the face by a dog at the adoption facilities at a Petco store. The attorneys at Nash & Franciskato were able to prove that the dog had prior propensities to bite. The settlement paid for the medical expenses and for money for college. 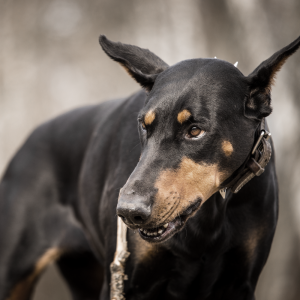 If you or a loved one has been the victim of a dog bite or other animal attack, find out if you can hold the animal’s owner liable for injuries suffered. Contact our lawyers in Kansas City for a free, no-obligation case evaluation. What should I do after a dog or other animal attack occurs? After getting medical treatment, be sure to identify the dog or other animal’s owner. Find out if the animal is up-to-date on its shots, the status of its vaccinations and any other information about the dog, including any prior attacks. In cases such as these, we highly recommend hiring legal representation to ensure you obtain the compensation you deserve. Typically, if the animal’s owner owns a home, he or she will have a homeowner’s insurance policy. Sometimes, however, there might be an exclusion for injuries caused by dogs. If the animal’s owner has no insurance or if this exclusion exists, then your only recourse will be to go after the owner of the dog individually.